Journals can help you release stress, develop forgiveness, embrace your past, adore your future, and explore aspects of your creativity that you never knew existed. 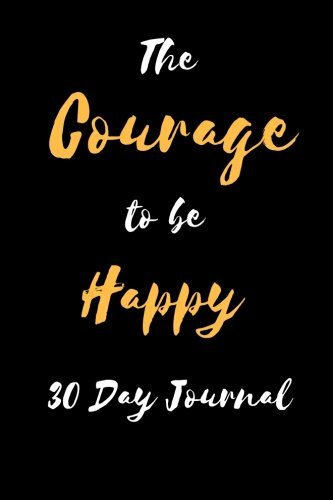 The Courage to be Happy: 30 Day Journal consists of a set of prompts which takes the guess work out of knowing what to write. This is a tool is designed to help you to get started to on the path to lifelong journaling. Gratitude is the feeling of reverence for things that are given or done for us. There is a great deal of research that shows that a regular practice in gratitude affects the practitioner with positive psychological, physical, and social benefits. Increases in happiness levels, optimism, life satisfaction, charitable giving, and the health of relationships have all been show as helpful outcomes of practicing gratitude. Keeping a daily gratitude journal has shown consistent increases in happiness across many studies. 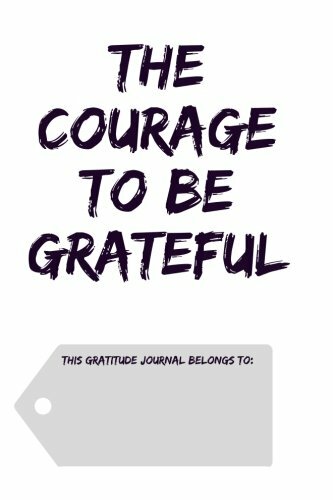 The Courage to be Grateful: Gratitude Journal is your first step in practicing gratitude on a daily basis. This journal will help you to put your life in perspective by empowering you to appreciate what you have instead of what you lack. By making daily gratitude entries in this journal you will be happier, healthier and more fulfilled. Daily gratitude reminders are much more than saying thank you - it's about not taking things for granted and having a sense of appreciation and thankfulness for life.